Living Christmas trees are a memory maker that can last a life time. Used on your porch or patio, they say “Welcome to Our Home” when decorated in traditional style. 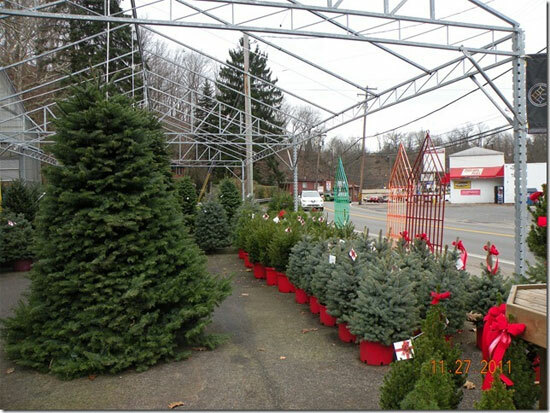 Or, use indoors for up to one week as your holiday tree, just be sure to plant it as soon as the Holidays are over. Living Christmas trees are a perfect way to enjoy family tradition and have the added benefit of a new tree in your landscape. Some Christmas celebrations are important enough to commemorate by planting the tree that was an intimate part of the Holiday. IT IS ADVANTAGEOUS THAT BEFORE THE GROUND FREEZES YOU LOCATE AND DIG THE HOLE FOR PLANTING AS SOON AS POSSIBLE, EVEN BEFORE PURCHASING THE TREE! Place the tree in an adequate sized water tight container or provide a tray larger than the container to hold water. 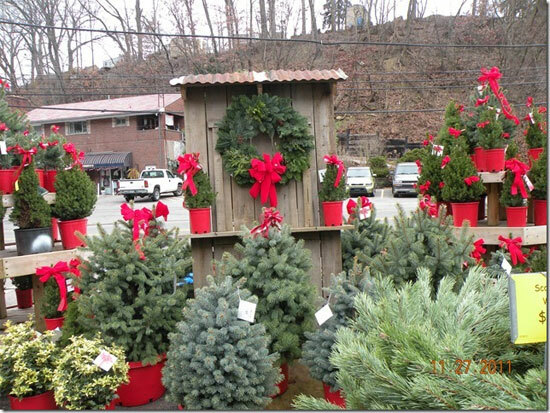 Place tree in a cool frost-free area (garage or enclosed porch) for approximately one week before displaying. This will gradually introduce the living tree from outside to inside. A tree that is dormant and then exposed to warmth will start to grow. You want to avoid any quick resumption of growth. During this time, check the tree for signs of insects and treat before taking into the living area of your home. The soil should be kept moist during this conditioning period. Never add fertilizer as this will initiate unwanted growth during dormancy. The moisture content of the tree can be prolonged with the use of an anti-dessicant spray such as WILT STOP. Use only miniature lights to avoid overheating. Since your live tree is out of its’ natural environment, the shorter time on display the better chance of survival. Five to ten days is preferred inside your home. Keep soil moist, but do not leave the container standing in water. Acclimate the tree by placing it in a cool frost-free area (garage or enclosed porch) for approximately one week before planting. Refer to our PLANTING GUIDE for instructions on how to plant a tree. The survival of your living Christmas Tree is not guaranteed.